Section 27 of the Education Act 1998 states that: 'Boards of Management shall encourage and give all reasonable assistance to students in setting up and running of student councils in second level schools'. 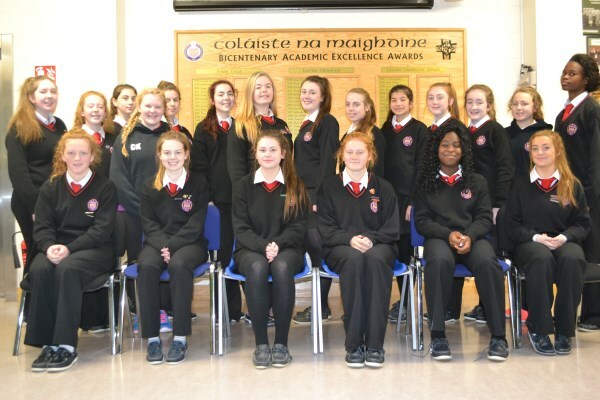 In Presentation Waterford the Student Council was established in 2007. The Council represents the student body and meets monthly with one teacher, who acts as advisor only. Each tutor group elects one representative to the Council. The Students' Council drew up a new constitution in 2009/2010, which governs its meetings and the business and conduct of its affairs. The Constitution was amended in September 2013. The Students elect their own committee consisting of Chairperson, Secretary, Treasurer, Public Relations Officer and other officers. The Students' Council undertakes a wide range of activities, which benefit the whole school community. The role of the council is to promote the interests of the school and the involvement of students in the affairs of the school, in co-operation with the Board of Management, parents and teachers. It also provides a forum for the views and concerns of the student body to be discussed with the school management. The role of the Students' Council is continually evolving within the school and will continue to play a significant role in the future.